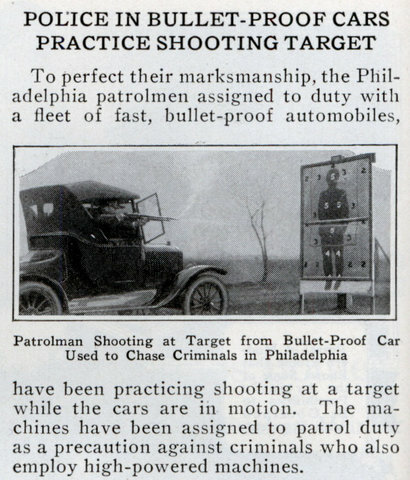 To perfect their marksmanship, the Philadelphia patrolmen assigned to duty with a fleet of fast, bullet-proof automobiles, have been practicing shooting at a target while the cars are in motion. The machines have been assigned to patrol duty as a precaution against criminals who also employ high-powered machines. Just think, they were screaming along at 40 to 45mph in those cars and if they had thought to carry along a cameraman from Pathe they could have produced an early “COPS: the Newsreel”. 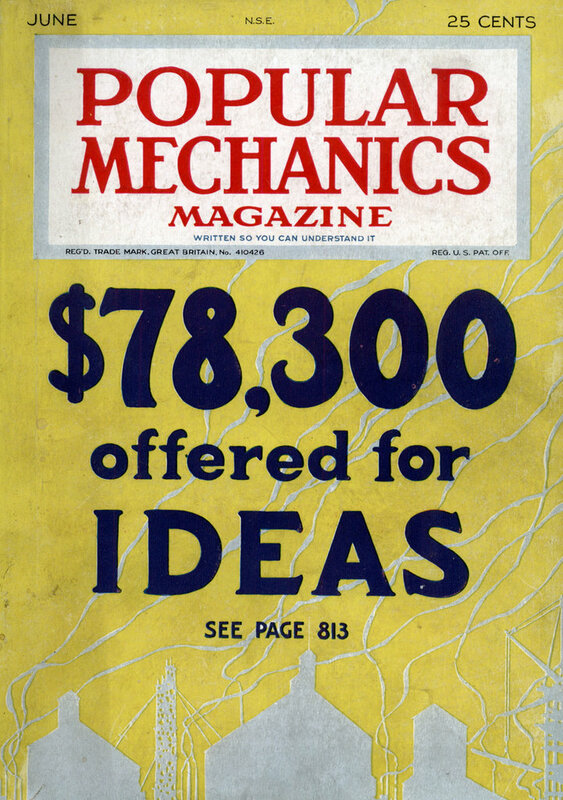 What’s the top speed of an armored Model T anyway?